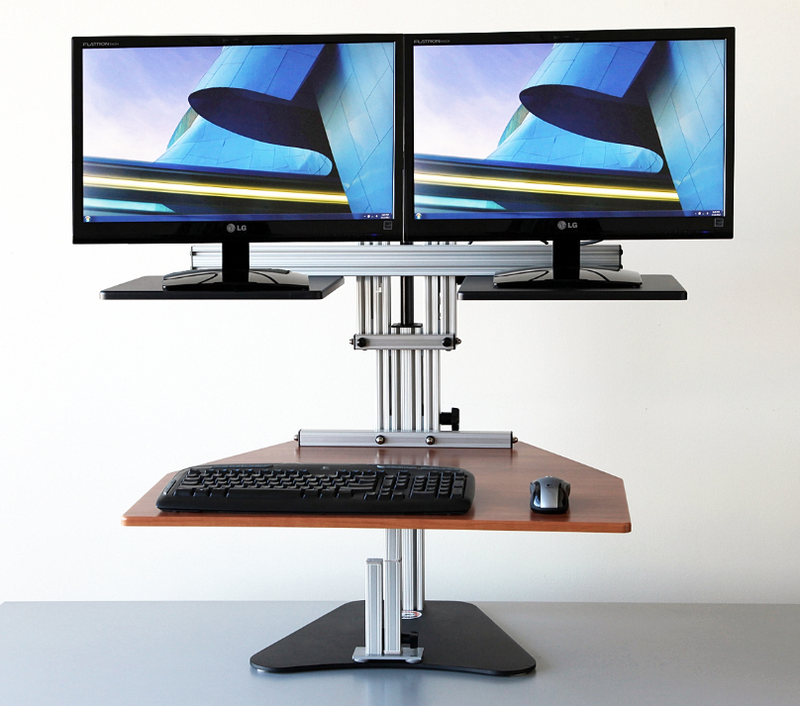 The Dual Kangaroo Adjustable Workstation holds two monitors or laptops weighing up to 10 pounds each. 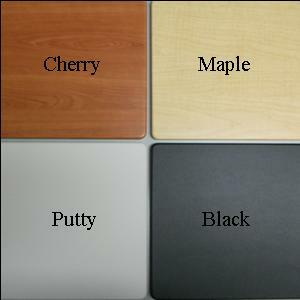 Dual Kangaroo Adjustable Height Desks allow users to transform any desk or table into an ergonomic sit-to-stand workstation. There is no need to bolt or clamp the unit down; just sit it on your desk and begin experiencing the health benefits of a height adjustable workstation, including increased alertness and productivity, less back pain and more calories burned. The Dual Kangaroo keyboard tray and monitor shelves are independently adjustable, allowing users to position and reposition their hardware with ease.